Patrick Howley, editor in chief of the website Big League Politics, first reported Friday the existence of a photo on Northam’s page of his medical-school yearbook depicting a figure in blackface standing next to another person in a Ku Klux Klan hood. Howley’s four-paragraph story, which included the yearbook photo, was quickly confirmed by The Washington Post and other news outlets Friday. The article ignited outrage on social media, immediate calls for Northam’s resignation, and a contradictory response from Northam. Nevertheless, Howley stuck by that claim on Saturday. “It’s clearly a picture of him,” he said, but again could offer nothing more in support. He added, “The photo is genuine. It shows clearly he’s a racist. 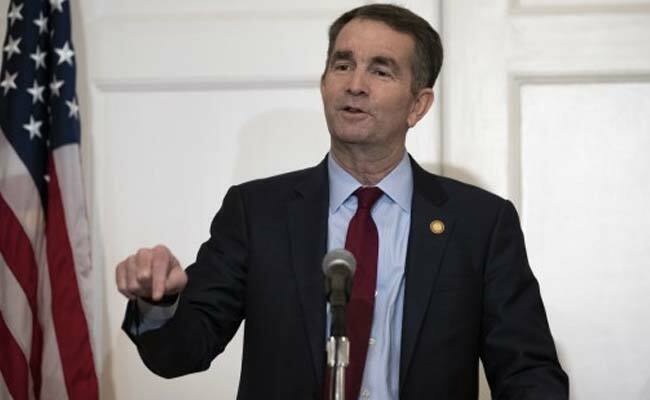 “I know (Northam) is a racist,” he said at one point. “This guy is a racist.” He cited only one instance to back up that assertion: a 2013 TV interview in which Northam declined to shake hands with E.W. Jackson, an African-American who was running against him for lieutenant governor. Big League Politics’ co-owners include Noel Fritsch, a consultant who worked for the campaign of Corey Stewart, a conservative, neo-Confederate sympathizer who unsuccessfully challenged Virginia Sen. Tim Kaine, D, for his seat last year, and Reilly O’Neal, another consultant who worked for Roy Moore, the Alabama Senate candidate who was accused by women of harassment and child molestation. Howley said he called Northam’s office for comment before publishing his story, but did not receive a reply. He also said he sent an “inquiry” to “people close to the governor” before publication but also received no reply from them. Upon hiring Howley in 2015, then-Breitbart executive chairman Stephen Bannon said Howley “is the type of reporter we have built the company around – smart, tough and aggressive. We are ecstatic about getting him immediately fully deployed.” Bannon later became Trump’s campaign chairman and White House strategist before being fired. Howley himself was suspended by Breitbart in March 2016 for tweeting his support of Trump’s then-campaign manager Corey Lewandowski after Lewandowski yanked the arm of a Breitbart reporter, Michelle Fields, who sought to question Trump after an event.